Luther Moore has been employed by Belk Stores Services, Inc. since 1972. He currently serves as Senior Vice President, Assistant Secretary, and Assistant General Counsel. He is a graduate of Davidson College with an AB degree in Economics (1969) and the University of North Carolina at Chapel Hill School of Law with a Juris Doctorate degree (1972). He is also a graduate of the Executive Program of the Graduate School of Business Administration at the University of North Carolina at Chapel Hill (1986). Mr. Moore is a member of the North Carolina State Bar, the North Carolina Bar Association, the American Bar Association, the Mecklenburg County Bar Association, and the Association of Corporate Counsel. He served as a member of the Finance and History Committees of the Mecklenburg County Bar Association and as past Treasurer and as a past member of the Board of Directors of the Charlotte, North Carolina Chapter of the Association of Corporate Counsel. He is a Founding Board Member of the Charlotte International Arbitration Society and also a member of the North Carolina Sentencing and Policy Advisory Commission. He is a member and past Chairman of the Board of Directors of the North Carolina Retail Merchants Association and is a member of the Board of Directors of the NC Merchants Political Action Committee, Inc. He is Chairman of the Board of Directors of Mainstreet Merchants for a Better North Carolina, Inc. He also serves as Chairman of The Board of Advisors of the Charlotte Good Neighbor Fund and is Chairman of the Charlotte Chamber of Commerce Public Policy Agenda Task Force. Mr. Moore has been a Rotarian since 1998. 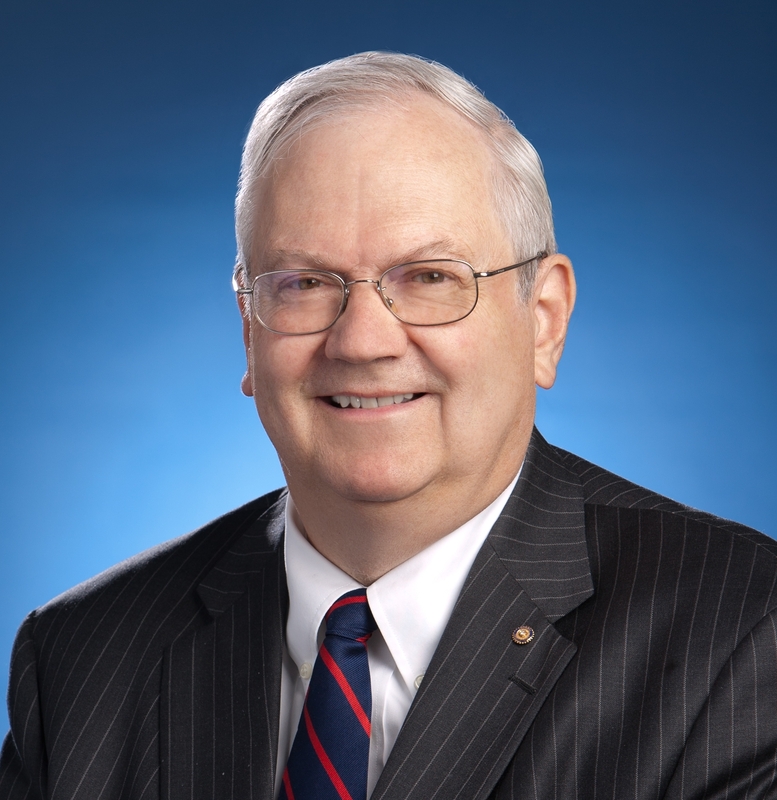 He joined Rotary as a member of the Rotary Club of Charlotte, North Carolina where he is a past President (2006-07) and a former member of the Board of Directors. He served as District Governor for District 7680 during 2013-14. He served as an Assistant District Governor during 2010-12 for Rotary District 7680 in addition to being District Governor Nominee in 2011-12 and District Governor Elect in 2012-13. He is a member of the Paul Harris Society, is a Paul Harris Fellow and a Major Donor. He and his wife Sandra have hosted a youth exchange student from Belgium and have also participated in Rotary trips to Alto Cayma, Peru and Copan Ruinas, Honduras. They have attended international conventions in Copenhagen, Bangkok, Lisbon and Sydney. He and his wife served as Aides to Rotary International President Kaylan Banerjee during his visit to Charlotte on February 14, 2012. He is in his seventh term as a member of the Board of Trustees of Wingate University and serves as Chairman of the Board and as a member of the Executive Committee, the Executive Advisory Committee and the Academic Affairs Committee. Mr. Moore is a graduate of Leadership Charlotte Class I and is also a Fellow of the North Carolina Institute of Political Leadership. He is a member of the Board of Directors of the Mecklenburg Historical Association. Mr. Moore is a past Chairman and current member of the Mecklenburg County Industrial Facilities and Pollution Control Financing Authority. He also serves as a member of the Board of Directors of the North Carolina Business Committee for Education. He is a member of Hickory Grove Baptist Church in Charlotte, North Carolina. He served as general counsel to the church and has served as Chairman of the Advisory Board of Hickory Grove Baptist Christian School and as church moderator. Mr. Moore is married to Sandra Millikin Moore, and he is the father of three daughters: Ashley Smith, Elisabeth Uecker, and Anna Moore. He is stepfather to David Biggers and Mary McAuley. He is a resident of Charlotte, North Carolina and is a native of Harmony, North Carolina.